Constantin Design & Build‘s business strategy is simple. We strive to keep everyone satisfied, may it be the client, whose trust enables us to do our business, down to our construction workers in Davao, whose skills, strength, and commitment enable us to execute our vision. At Constantin Design & Build, we always reward hard work and excellence. That is why every month, our project supervisors name two workers to the “Star of the Month” award. The award honors those whose work surpasses our standards of safety, work attitude, quality of work, and efficiency. Awardees receive cash incentives, a certificate, and have their posters hung on-site as figures worthy of emulation. “By performing in a flawless fashion, we ensure that we do things right the first time. We also do this to reflect on-site what the engineers and architects designed on paper — so as to minimize discrepancy, mistakes, and provide a quality finished product,” he added. At Constantin Design & Build, everyone works together to turn your vision into a reality. The elegance and precision of our work depends on our human development and the totality of our team‘s efforts — engineers, architects, and construction workers combined. 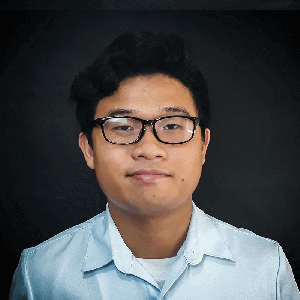 Before joining CIPD, Paulo worked as a multimedia reporter for a local online news publication, and was responsible for production across platforms. As Creative Marketing and Sales Officer, he is responsible for sharing the story of CIPD and its top notch services to the world.